"Jai Baba, dear Baba-friends, and welcome to the kitchen!! 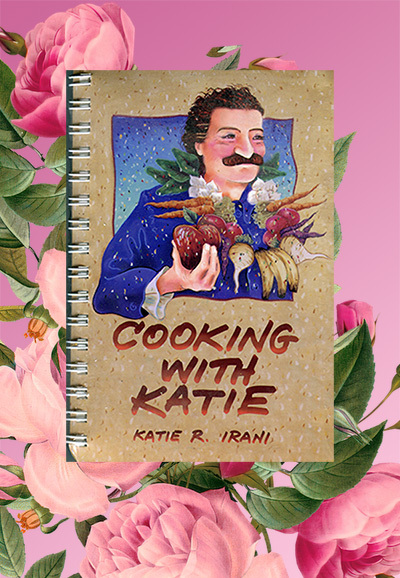 In this book, you will be cooking with me in our kitchen in Meherazad, Avatar Meher Baba's home in India. Beloved Baba put me in His ashram kitchen on the Blue Bus tours in 1939, and I've been cooking ever since. These are some of the simple meals from those days, and from the years I've been cooking for Baba's mandali in Meherazad. ... The main ingredient throughout all our years of cooking is the same: Beloved Baba's name. The first thing you must put into every dish is "Jai Baba!" and then Baba takes over ..."
Kate Irani was born in 1920 in Ahmednagar, India. She met Meher Baba during His visit to her family's home in 1923. Katie began seeing Baba more frequently after her family moved to Ahmednagar when she was eleven. It was at this time that Baba had Katie take singing lessons and learn to play the harmonium. In 1938, at age 18, she joined Baba's Ashram and lived with the other women Mandali on Meherabad Hill. In 1939, she accompanied Baba on the Blue Bus tour. During Baba's New Life period she went to work for the Japanese Consulate in Bombay and remained there until moving to Meherazad in the 1970s. The songs on this CD are songs she sang for Baba. 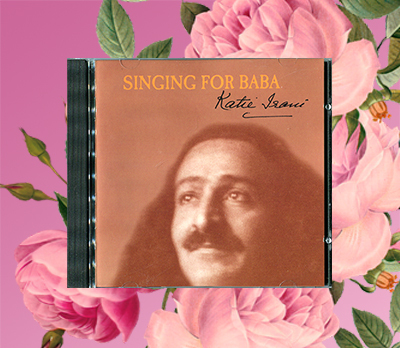 Billy Goodrum has lovingly engineered and mixed this exquisite selection of recordings of Katie singing for Baba. The elegant simplicity of his original instrumental lead ins and accompaniment blend to enhance Katie's rich and ebullient voice.